Chevre (Goat cheese) to crumble on top. Rocket spread over the top. 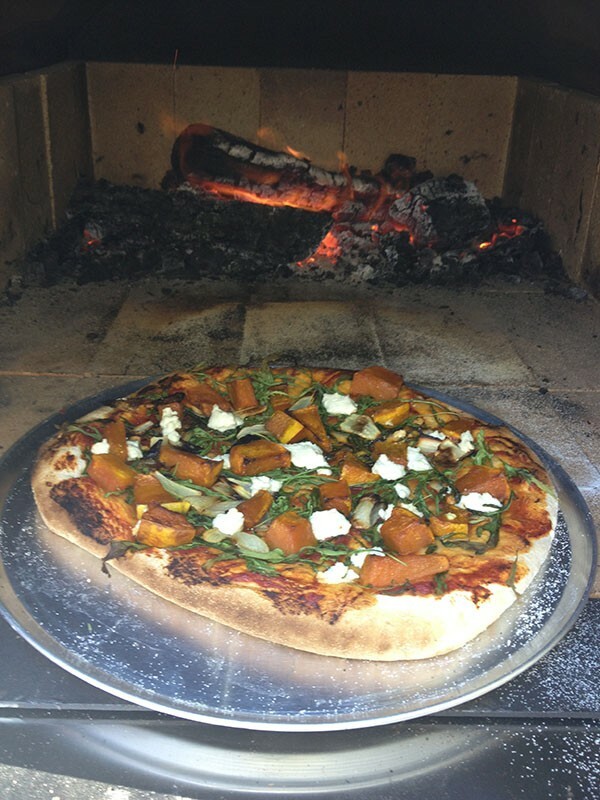 Spread ingredients evenly on the pizza base with pizza sauce and cook in Pizza oven for approx. 8 mins.